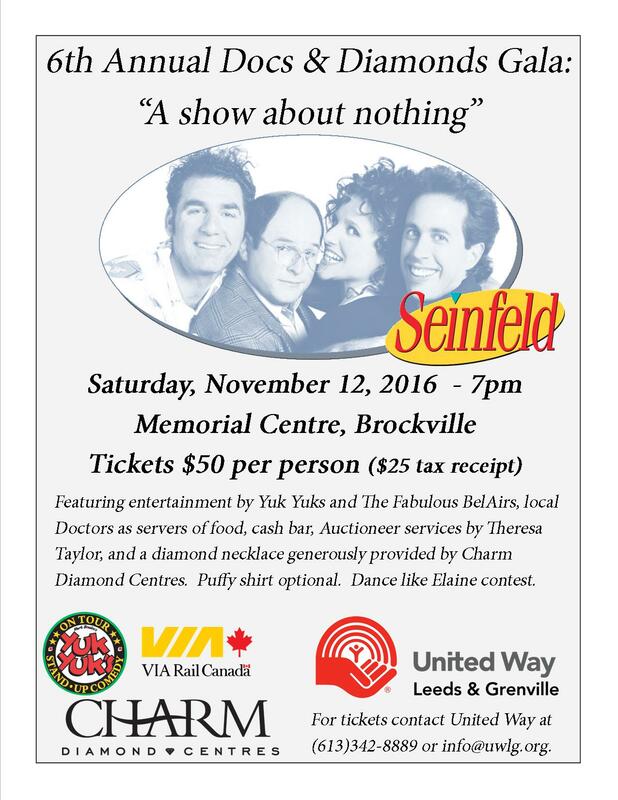 Our Docs & Diamonds evening is Seinfeld themed this year! It’s not Festivus but it’s the next best thing! Grab your puffy shirt or your urban sombrero and celebrate Seinfeld—the show about nothing. Battle the Soup Nazi at this hilarious event. Local Doctors serving food and beverages. Licensed event. Yuk Yuks on Tour comedians may use adult content, yada yada, and is not recommended for children.